Juicing or blending? Two different healthy ways of nourishing and detoxing your body. Both are really healthy and great options for a breakfast packed with good stuff. What do you prefer? Everybody has their personal favorite and reasons why. Unlike juices, smoothies consist of the entire entire fruit or vegetable, skin and all and contain all of the fiber from the vegetables. However, the blending process breaks the fibre apart (which makes the fruit and vegetables easier to digest ) but also helps create a slow, even release of nutrients into the blood stream and avoids blood sugar spikes. Smoothies tend to be more filling, because of the fiber, and generally faster to make than juice, so they can be great to drink first thing in the morning as your breakfast, or for snacks throughout the day. 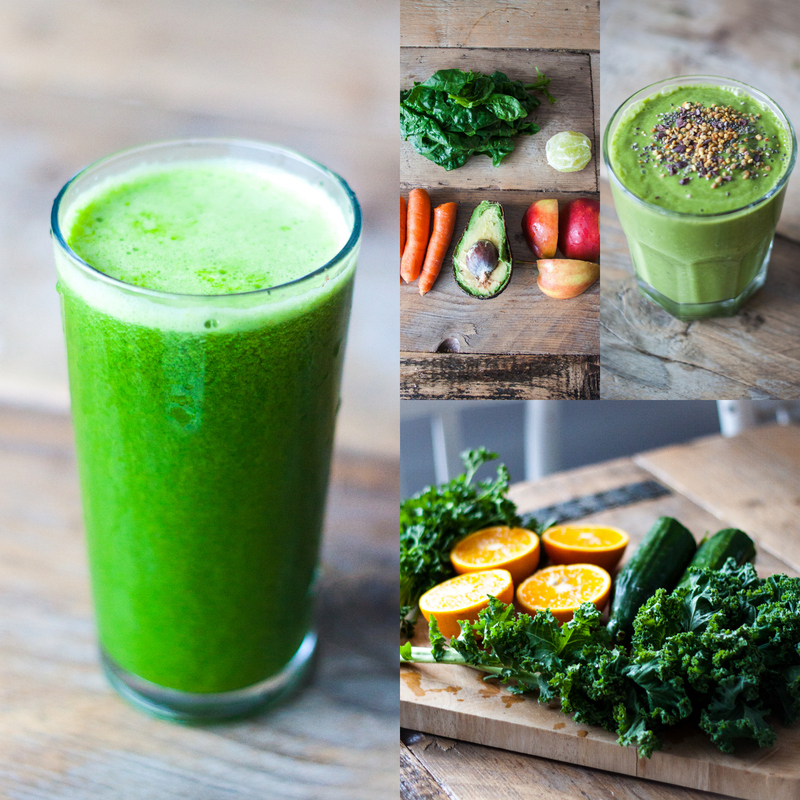 In a nutshell: Juicing is more like a supplement and blending is more like food.